Mont Rebei is one spot you don’t want to miss! What and where is Mont Rebei? 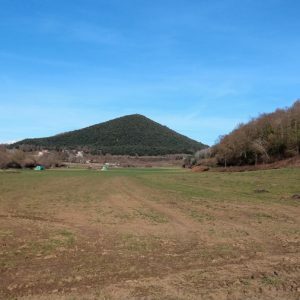 Mont Rebei is the best destination in Catalunya for hiking lovers. The Congost de Montrebei is a bridle path carved out of the cliff face of the fluvial gorge. 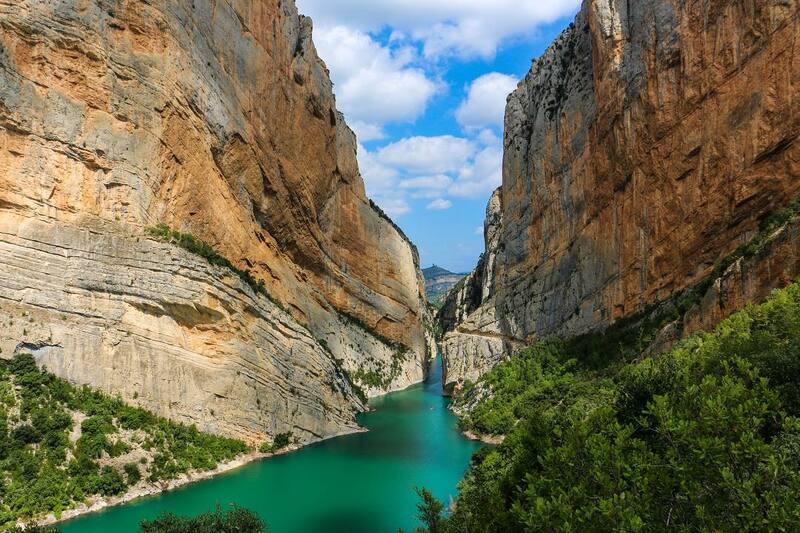 Over the years, the river Noguera Ribagorçana has eroded the Montsec mountains into two parts: Montsec d’Ares (Catalonia) y Montsec de l’Estall (Aragon), creating impressive walls reaching more than 500 metres high in free fall and with a minimum width of only 20 metres in some places. Also known as the paradise of Catalunya, Mont Rebei is one of the most spectacular gorges in Europe and can be enjoyed in its entirety on foot following the ancient mule track carved into the rock. The Congost de Mont Rebei is not a loop and you must return on the same path. It can be done on foot, by kayak or boat or a combination of these methods. It all depends on your walking ability and the time of the year. We meet at 07:00am at Plaza Espanya between the two Venetian towers. The private bus is going to take you from Barcelona (Plaza Espanya) to Mont Rebei and back. A tour guide will explain the area and how to enjoy its beauty. This trip begins on Sunday at 07:00am and ends at 08:30pm. – The only bathroom in Mont Rebei is near where the bus drops us off. If you need to use the bathroom during the hike, you will have to find a spot away from the others!! – The entire hike takes about 14km. Some sections are steep and challenging.